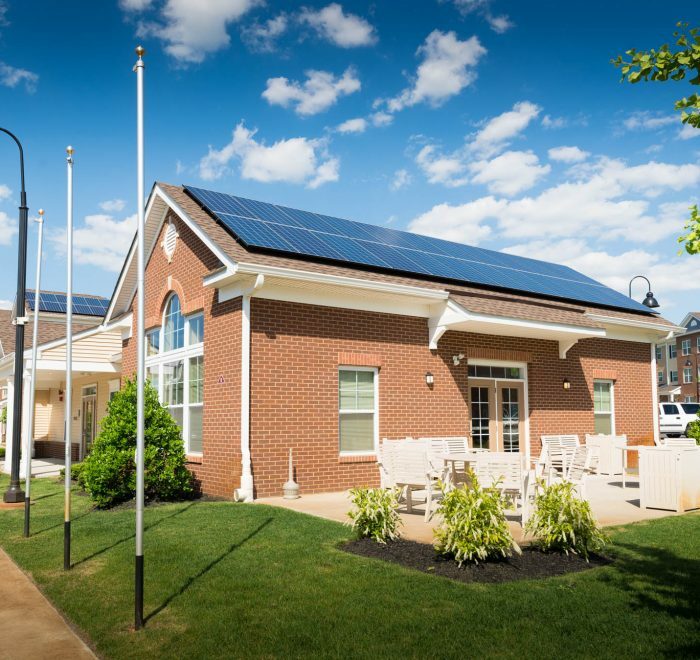 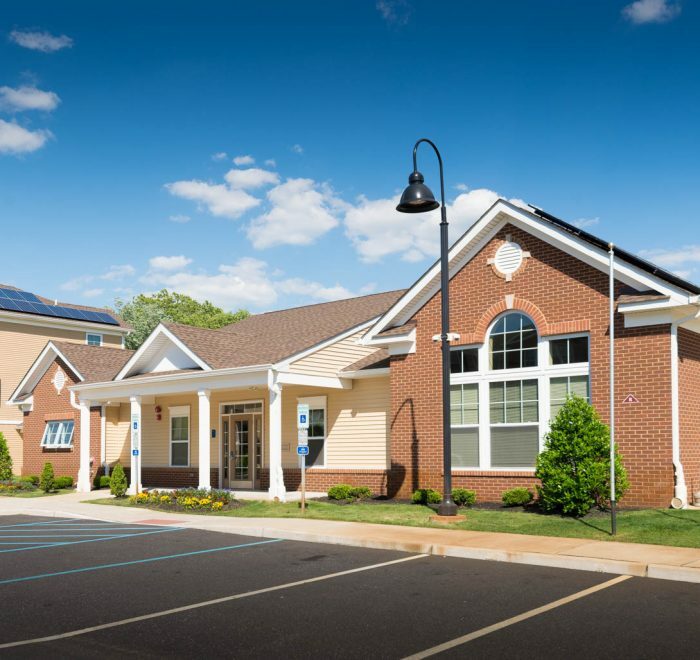 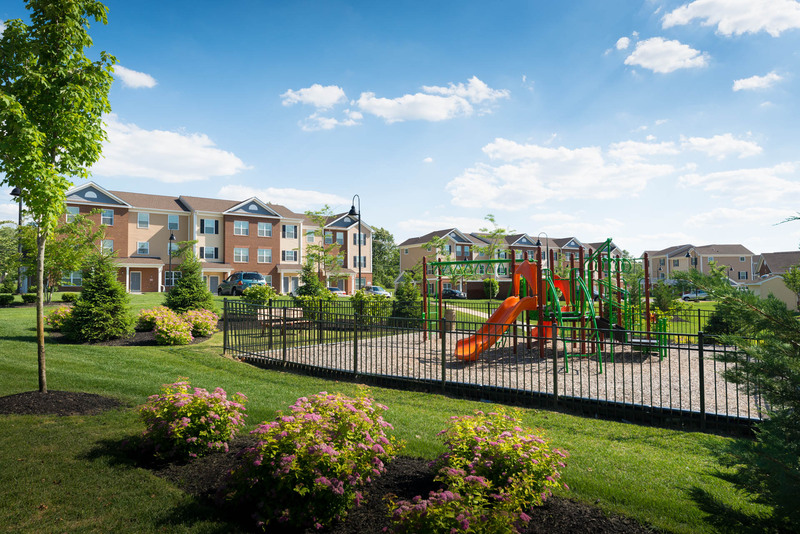 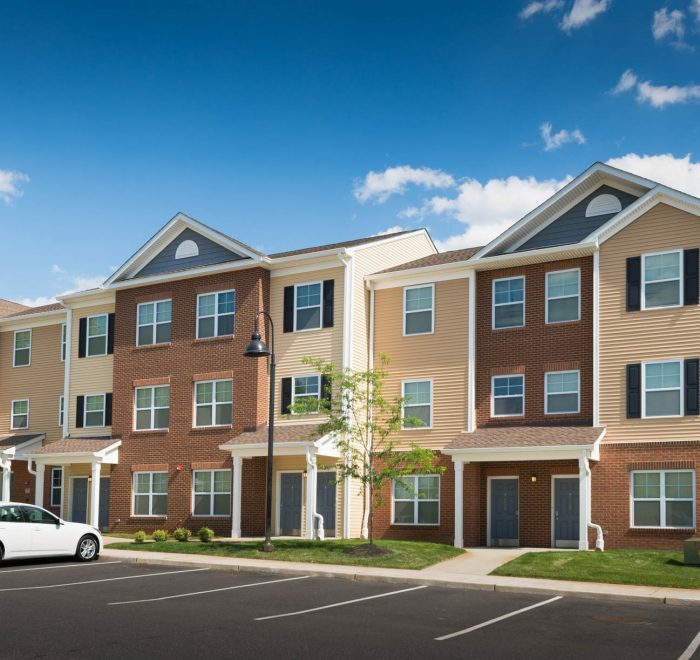 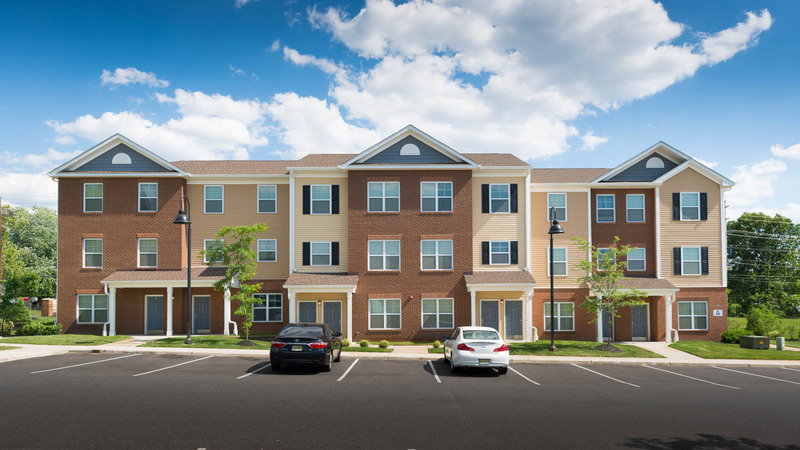 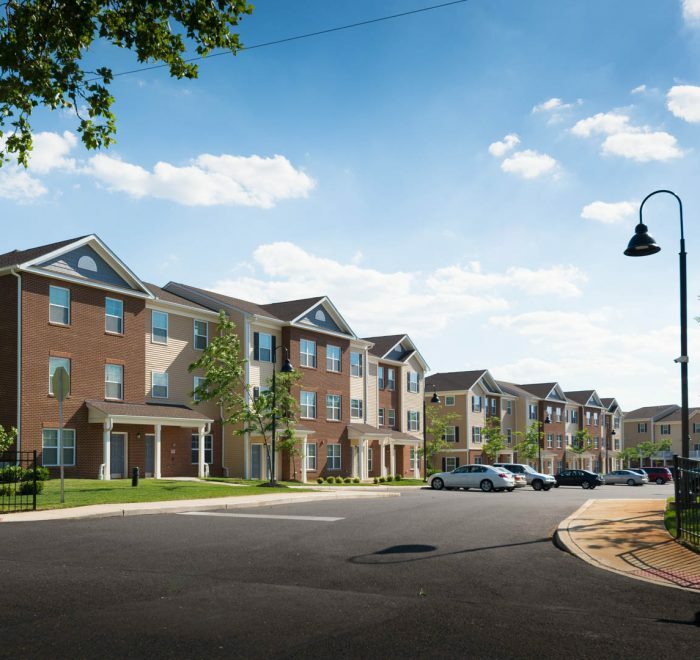 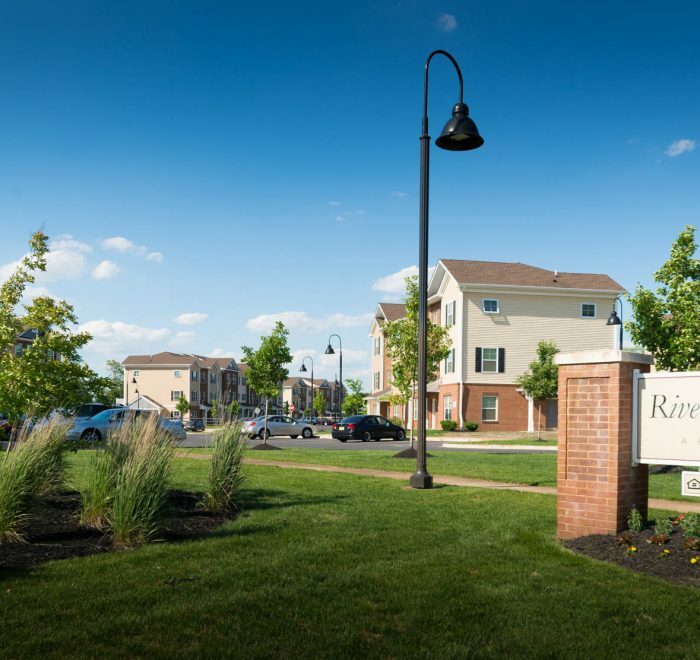 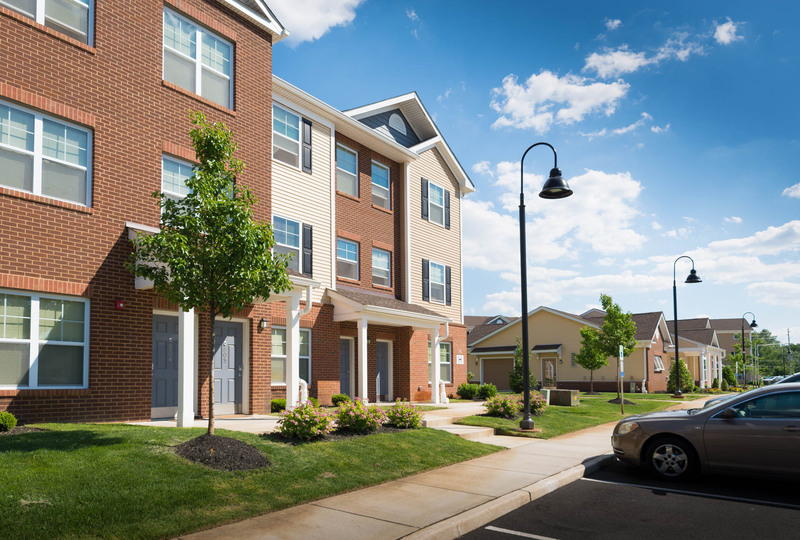 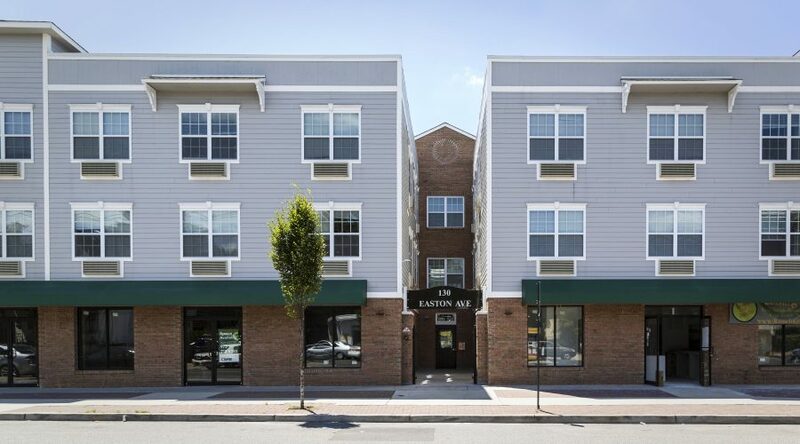 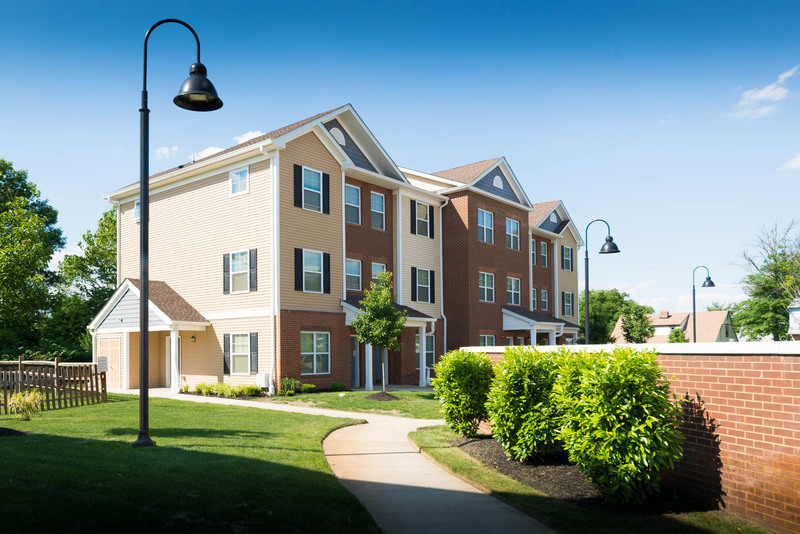 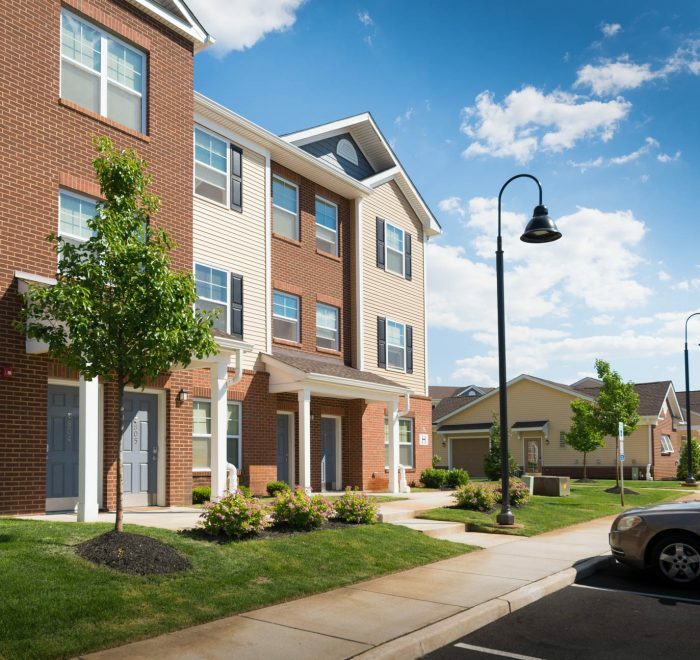 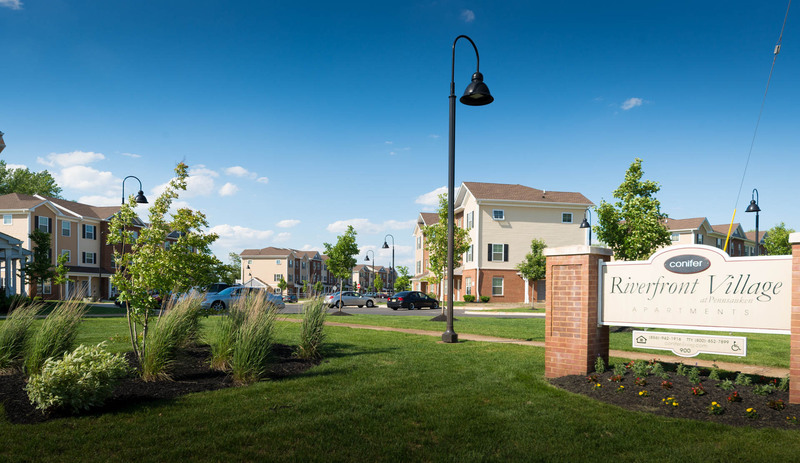 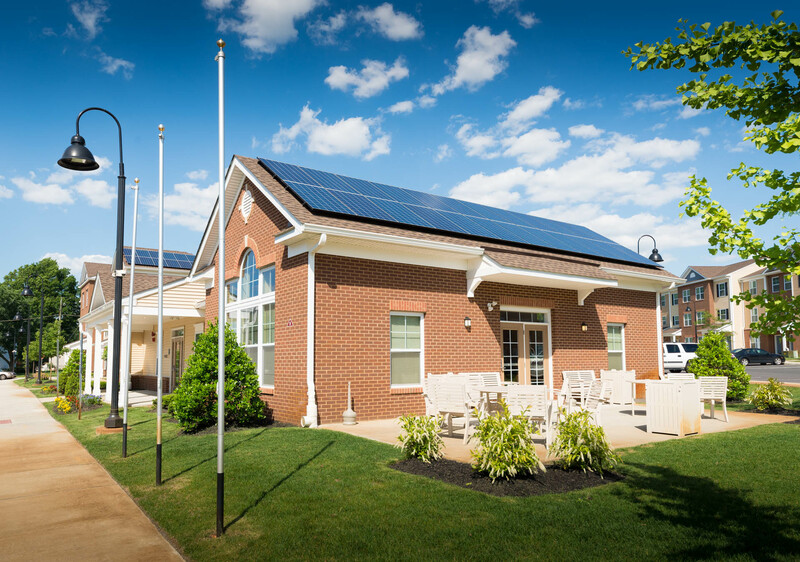 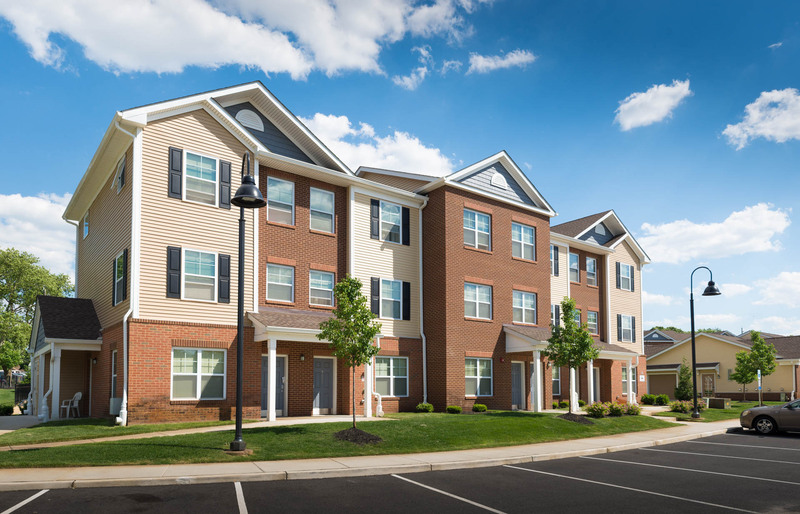 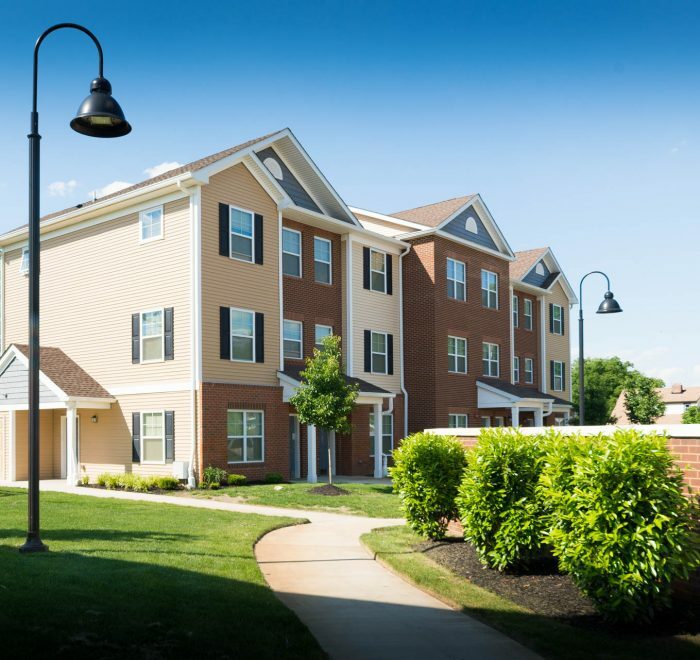 Riverfront Village at Pennsauken is a new affordable residential community consisting of seven three-story residential buildings that are situated on nine acres of land along a once-neglected stretch of the Delaware River waterfront in Pennsauken. 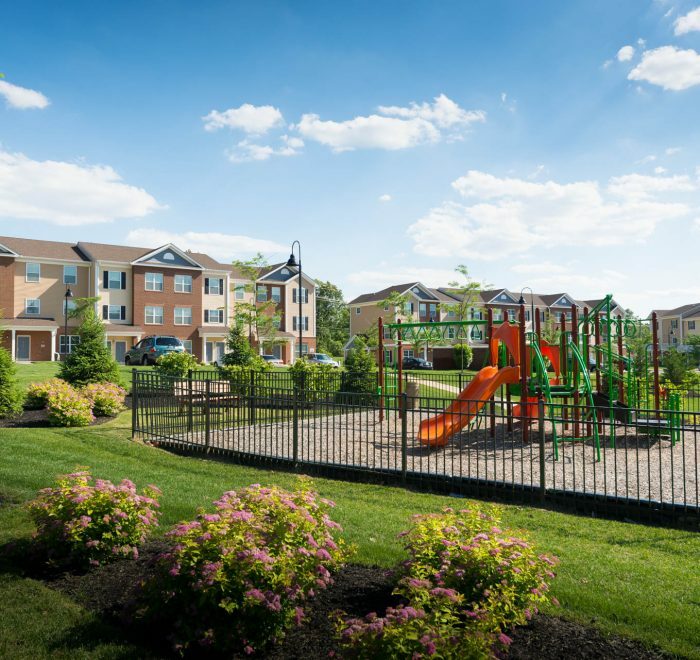 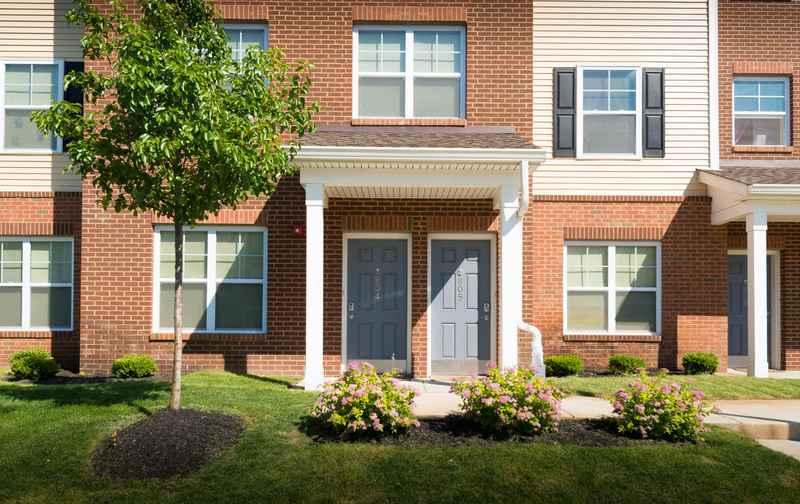 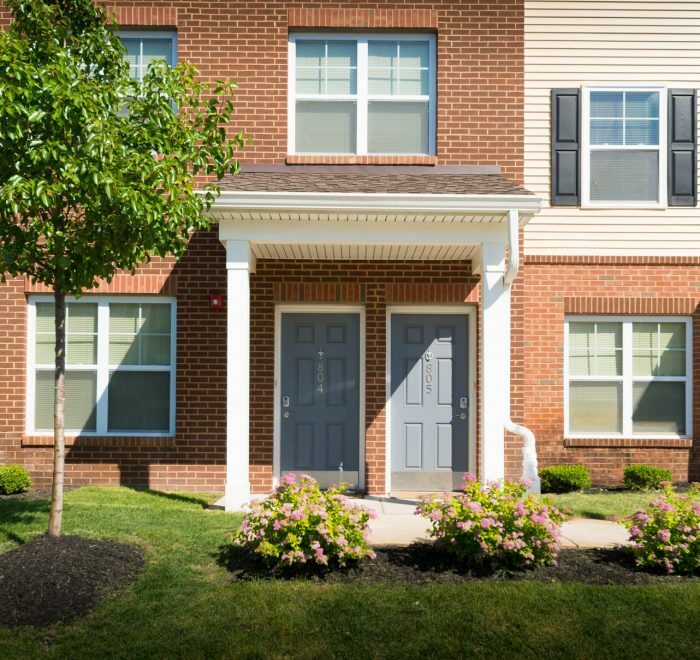 This community provides a total of seventy-five (75) affordable family apartments, and a centrally-located Clubhouse offering a variety of on-site amenities and services. 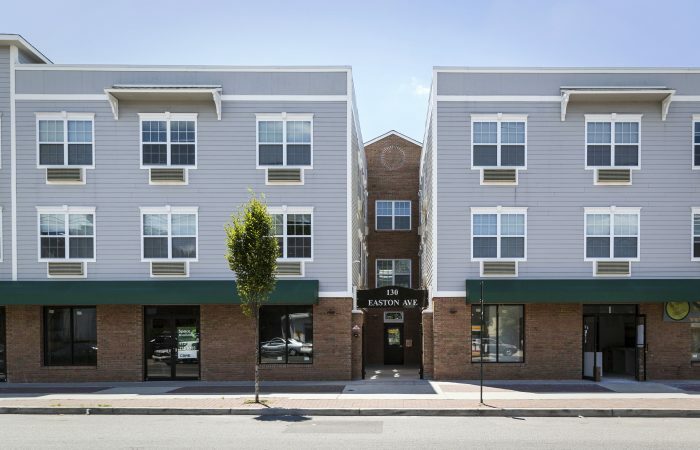 There are twelve (12) one-bedroom apartments, thirty-nine (39) two-bedroom apartments, and twenty-four (24) three-bedroom apartments in a mix of both flats and townhouses. 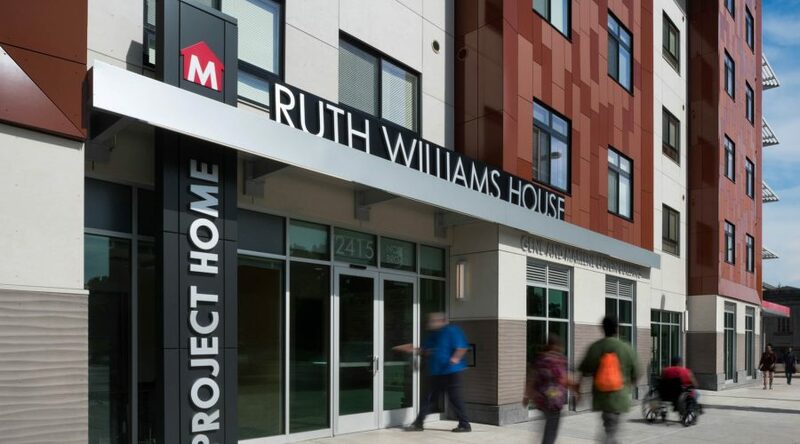 Seventy (70) of the units are affordable to working families at or below 60% of the Area Median Income (AMI), while the remaining five (5) units are set aside for homeless veterans. 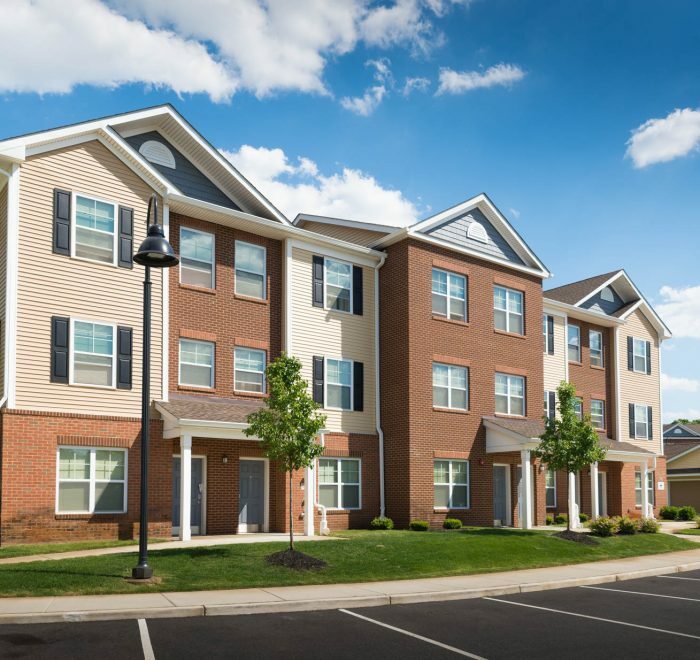 A total of four (4) first floor units are fully wheelchair accessible and two (2) units are equipped for individuals with hearing and visual impairments. 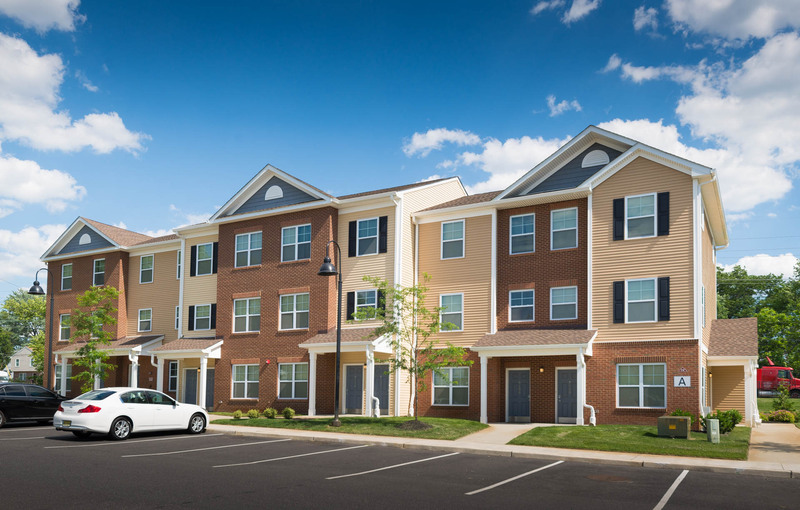 The remaining first floor units are adaptable and fully visitable. 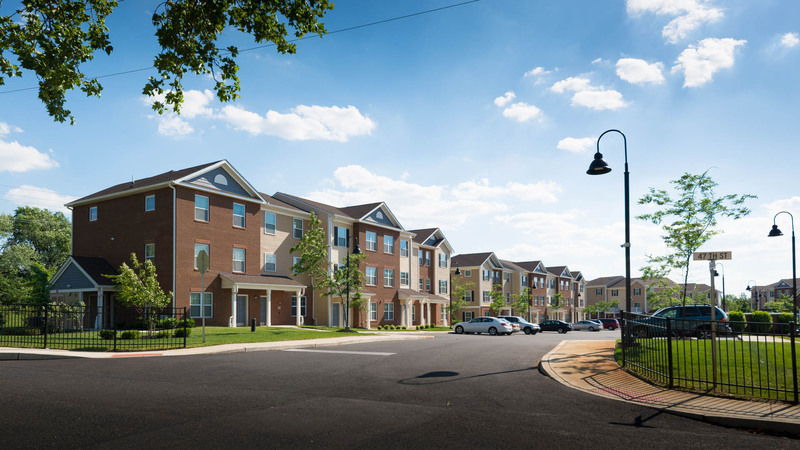 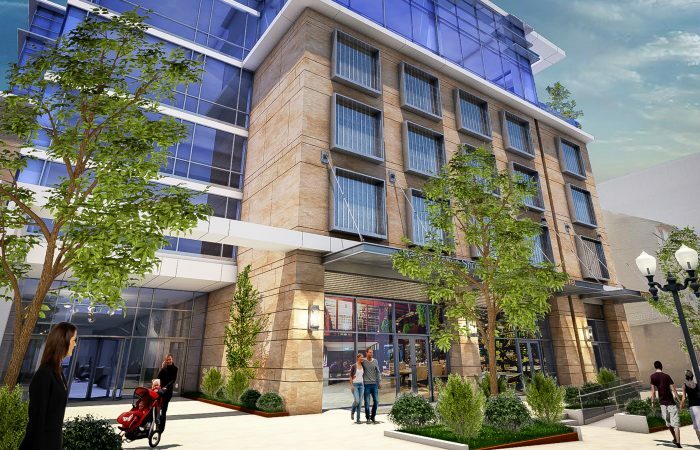 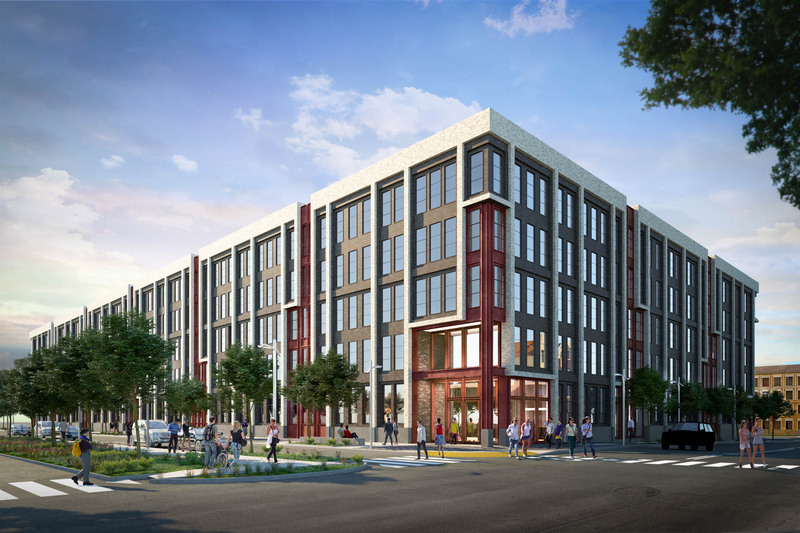 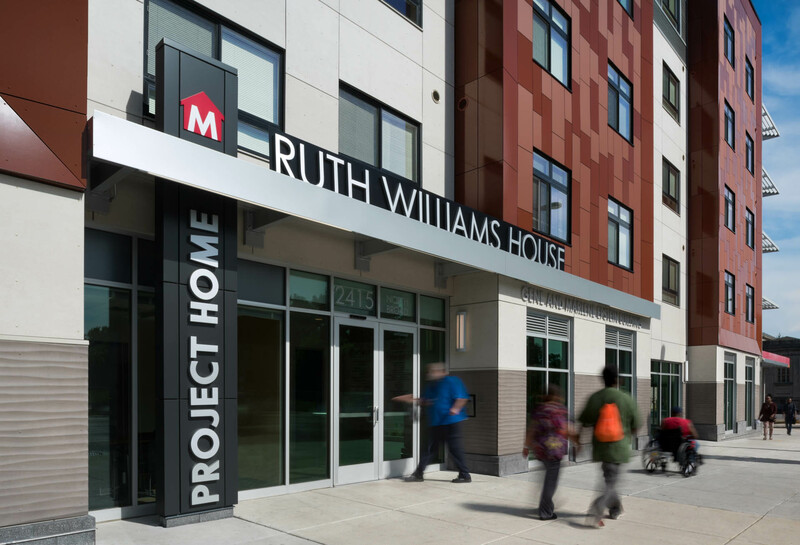 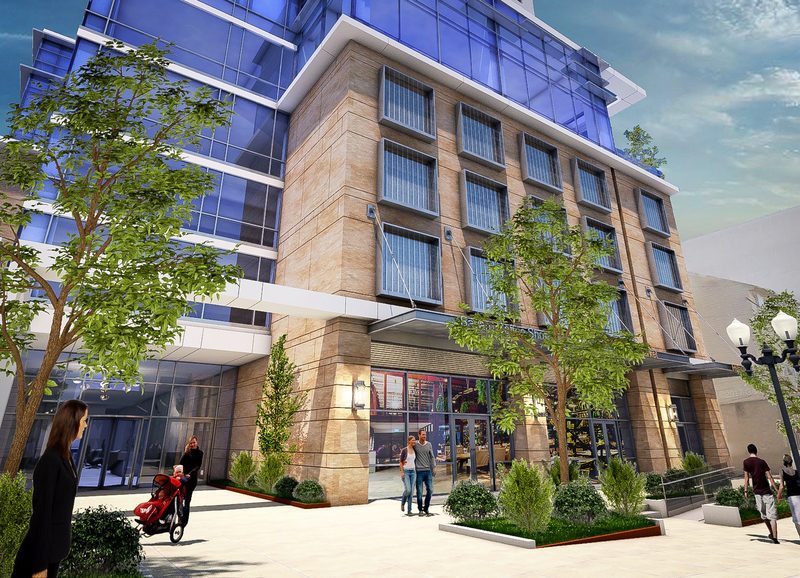 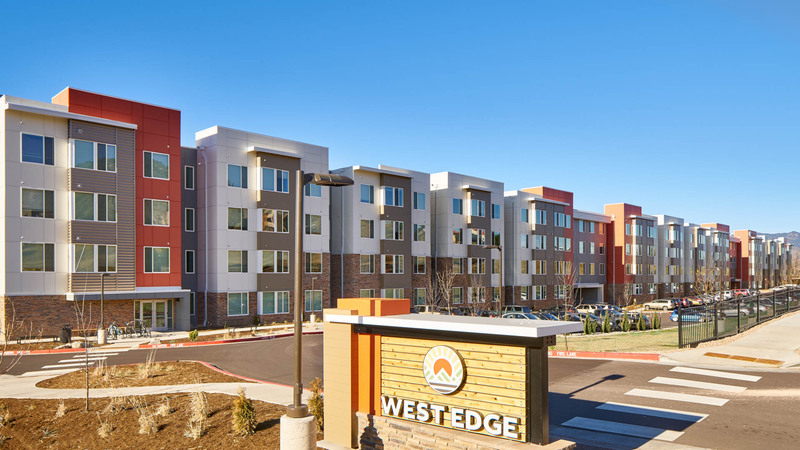 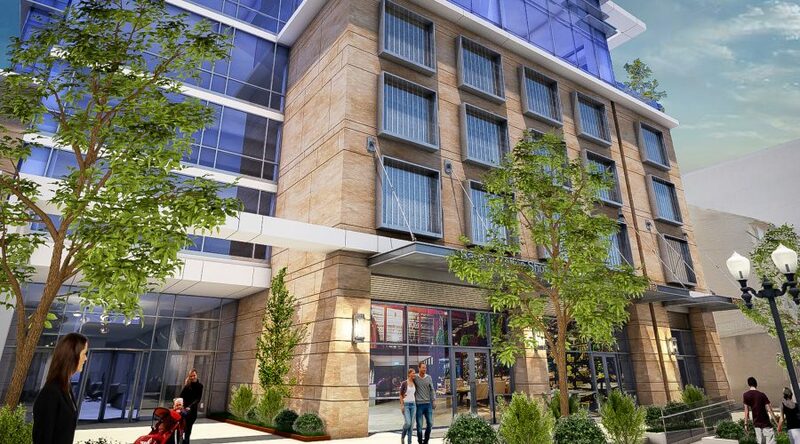 The new transit-oriented development at Riverfront Village represents the successful revitalization of a long-neglected, vacant and blighted property, and the reconnection of the property to the surrounding neighborhood and existing urban fabric. 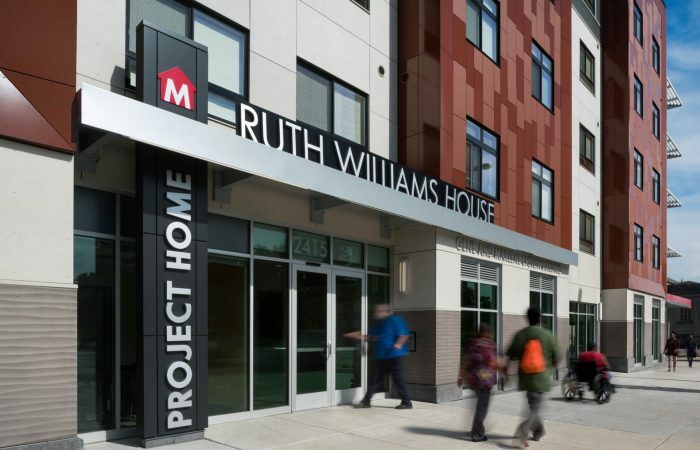 The project also represents the successful reclamation and restoration of a community’s connection with its waterfront. 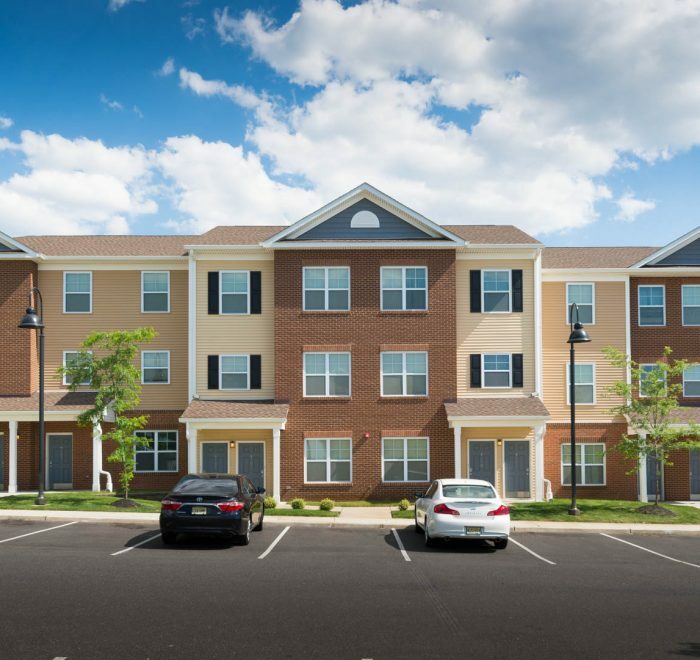 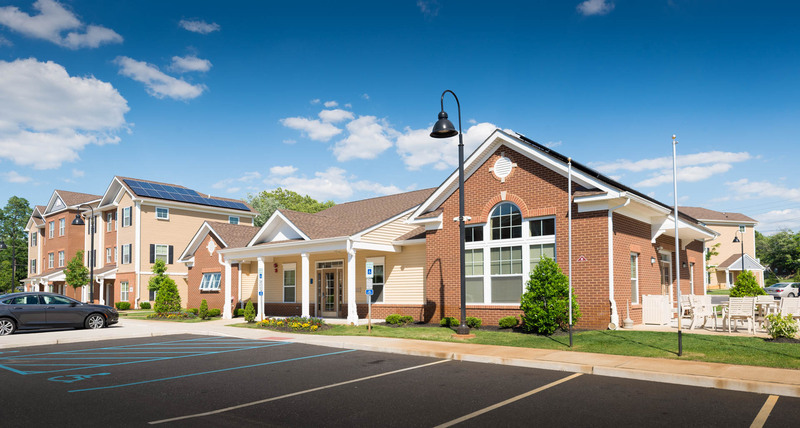 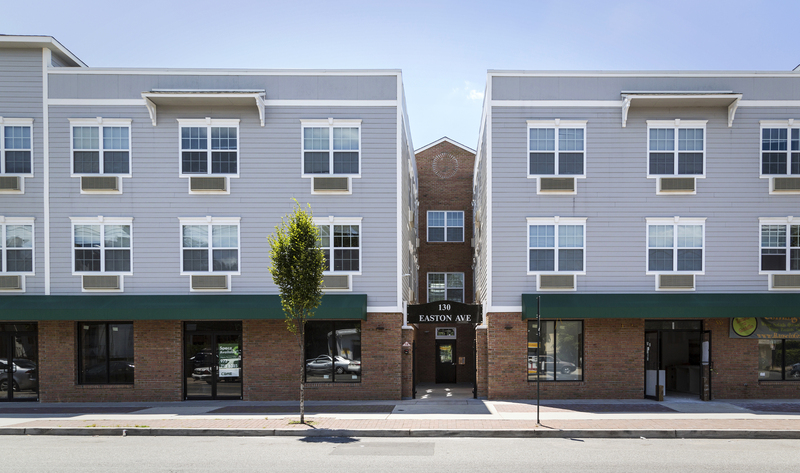 Funded mainly through Low Income Housing Tax Credits (LIHTC), Riverfront Village at Pennsauken will not only provide much-needed quality affordable housing opportunities for working families in Camden County, but is also expected to have a long-term, positive economic impact on the greater Camden community.